The two disagreed often, Kobe Bryant and Shaquille O’Neal squabbling endlessly on how they would co-exist with the Lakers. But that tension has evaporated enough that Bryant appeared on O’Neal’s podcast set to be broadcast on Monday. According to excerpts that were played on ESPN Radio on Wednesday, both Bryant and O’Neal expressed regret over their squabbling through their eight-year tenure as teammates (1996-2004) before the Lakers traded O’Neal to the Miami Heat following the team’s NBA Finals loss to the Detroit Pistons. Though the pair put their differences aside enough to help the Lakers to three consecutive NBA titles from 2000 to 2002, constant debate has ensued on whether Bryant and O’Neal could have won more together had their relationship improved. It often became a story. Bryant became irritated with O’Neal’s work ethic and conditioning. O’Neal often griped at Bryant’s high-volume shooting. Speculation emerged on to what degree the two kept fighting to have the most dominant role on the team. O’Neal even threatened to kill Bryant after he publicly criticized him about reporting to training camp out of shape. Yet, both Bryant and O’Neal dismissed any notion that their poor relationship influenced the Lakers breaking up that duo. O’Neal cited the business reasons, which included the Lakers’ resistance to meet his contract demands partly because he would soon face the downward end of his career. Meanwhile, Bryant argued their chemistry inevitably would not have worked because of how different the two play. 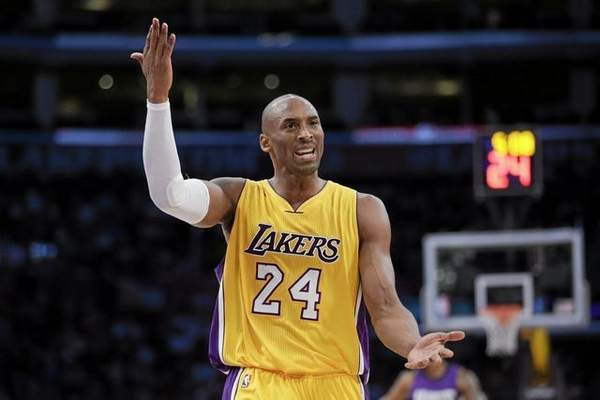 Bryant has admitted that O’Neal’s skepticism that Bryant could not win an NBA title without him struck a chord. Bryant eventually proved otherwise in 2009 and 2010. The two have since provided public olive branches. They shared the All-Star MVP award in 2009. Bryant recorded a video tribute for O’Neal’s No. 34 jersey retirement ceremony in 2013. What qualities will No. 2 pick in NBA Draft need to flourish with Kobe?